A simple, easy and fast way to Improve Circulation naturally and also boost energy. Place your foot in Rollga Zone 3 and slowly roll forward to just past the ‘big toe pad’ - there is a tender or sensitive spot called the ‘adrenal reflex zone or area’ - it’s great for boosting energy and increasing blood flow and circulation. This spot is known to help with cold feet. The Rollga Activator is another great product for finding these reflex zones or as Rollga calls them - Your “Ahh-Spots”. 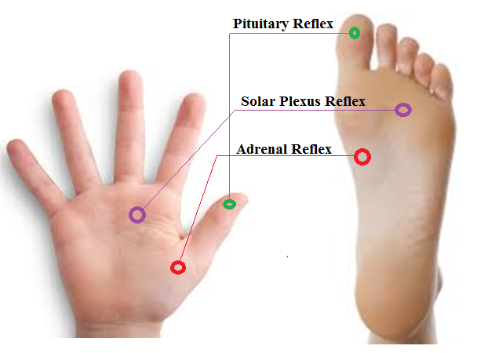 Find this Adrenal Reflex Zone with the fingers of the Rollga Activator and hold or do a very small circular motion. Just a few minutes a day and the results can be impressive!